Music is the fuel that ignites my paintings. It’s almost as important as the canvas and the paint. My work often relates to words from songs, things I read or stories I hear. There are notes and scraps of paper pasted all over the studio - paintings in the simmering stage, before any brush stroke has appeared. I grew up “everywhere” - embracing the gypsy lifestyle of my Dad's military career. A magical childhood consisted of exploring every new location with immediacy and passion. My life was shaped in the Rocky Mountains, on the Pacific Coast Highway, in the bayous of the Deep South, or surrounded by the buzz of New York City. No matter where we lived, the local culture and history came alive through hands-on experience. Ultimately life is about connecting with people - their stories, cuisine, music and art. Painting and sketching have always been my way to capture the essence of life’s experiences. 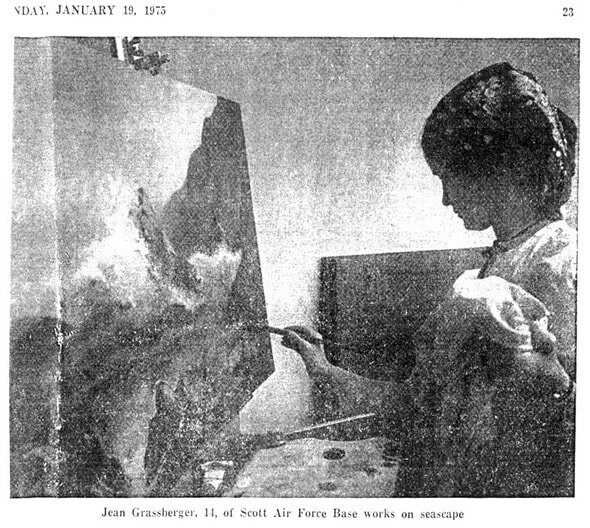 My Mom was an oil painter, showing work at galleries in New Mexico and Colorado. As a child, I remember loving the smell of linseed oil and listening to artists critique the work. I was allowed to paint with oils when I was 10 and sold my first painting in a public show when I was 12. Music and dance were also part of our family structure. Southern musical influences became important as a teenager when our family lived near St. Louis and I spent several years in a Drum & Bugle Corps that traveled the United States. After high school, I gravitated toward theatre design and landed a job painting large-scale backdrops in Albuquerque. I graduated from University of Kansas with degrees in Studio Arts and Art Education. Over the years, I have worked as a kindergarten teacher, a graphic designer and a technical illustrator plus raised 3 awesome children. I have been painting full time since 1998. I also teach creativity seminars, painting workshops, and lead museum tours. Since 2012, we have cared for aging parents, then followed our children/grandchildren to new locations. I have become a minimalist in my studio practices, really honing down what is absolutely necessary to create. The "studio" has been a warehouse, a balcony, then a boat - sometimes oil paint and a French easel, sometimes a tiny Altoids tin with watercolor. In 2018, now in Austin Texas, it's back to 4" brushes and large canvases. My new series is focused on talented and confident women. With 2 young granddaughters who love to hang out in my studio, I think it's a pretty cool message. On my wall, I have my great-grandmother's wooden palette and a few of her paintings - a good reminder that life is fleeting, creating art is a way to make a mark. My goal is to celebrate good stuff and spread ripples of positive energy. A 1975 photo of me, and a current one of my little muses.